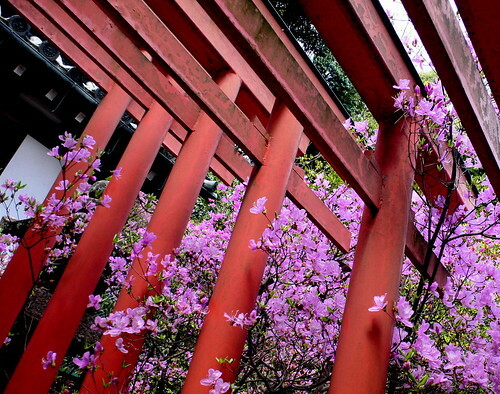 Since I’d only been to Kasuga-jinja during winter, I hadn’t realized what a beautiful spot it was for blossom viewing. Unfortunately I only arrived to take pictures toward the end of the blossom-viewing season, and though there were still quite a few blossoms on the trees, the ground was already thick in a cloud-blanket of fallen blossoms. It was a beautiful day, however, and families had brought their children out to see the last of the blossoms and to enjoy the sunny day. 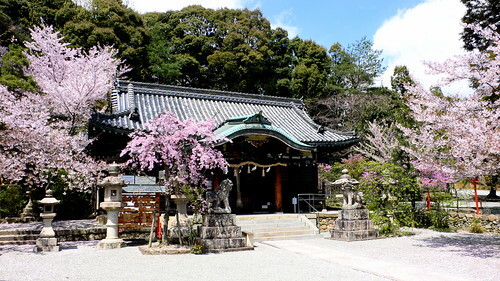 While I took photos of the shrine and the blossoms, children played in the small tornadoes of fallen blossoms that were continually being created by the strong breezes running around the shrine grounds. 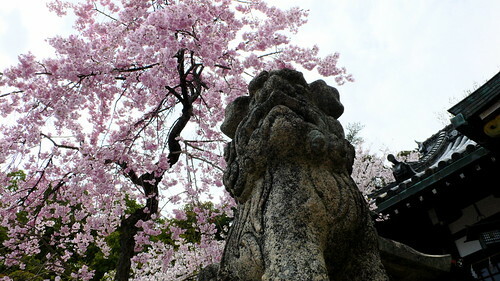 One of the guardian Shishi at Kasuga, reposing under the cherry blossoms. 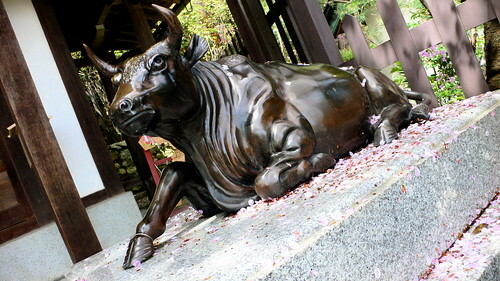 I’m not sure what this bull image is intended to represent, but I’ve seen several of them at various Shinto shrines. 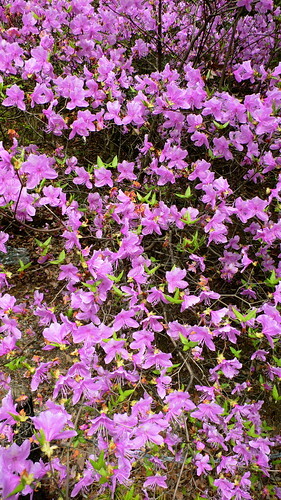 This one is currently sitting on a bed of fallen cherry blossoms. 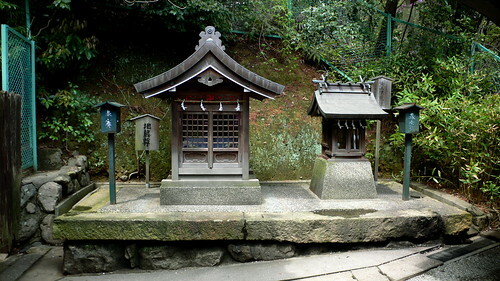 Here are two of the many small shrines that can be found on the hillside behind the main shrine hall at Kasuga-jinja. To celebrate the New Year, offerings of daikon, carrot, and other vegetables are left in front of each of these shrines. The torii gateway at Kasuga-jinja, with tsutsuji peeking through the posts. 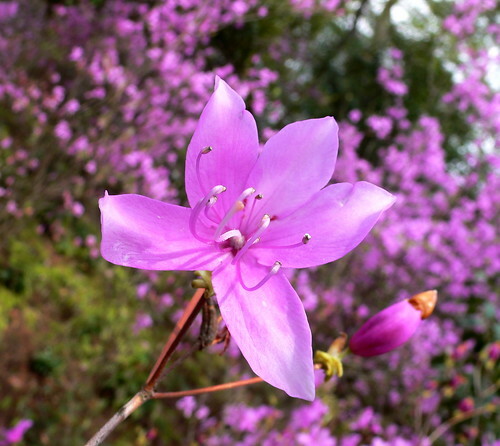 A close view of one of the tsutsuji flowers in the Kasuga garden.